Shooter McGavin: You’re in big trouble though, pal. I eat pieces of sh– like you for breakfast! Happy Gilmore: [laughing] You eat pieces of sh– for breakfast? Adam Sandler is Happy Gilmore, an unsuccessful ice hockey player with a powerful slapshot. After a challenge, he discovers he has a talent for golf. To be specific, he has an easy facility for driving a golf ball 400 yards. His putting, on the other hand, is horrible. Under the tutelage of club pro Chubbs Peterson (Carl Weathers), he joins a golf tournament. Happy hopes to win enough money to help out his grandmother whose house is about to be repossessed. Sandler’s second major starring vehicle is his riff on 1980’s Caddyshack, another golf comedy. His idea of funny is to transplant the loud obnoxious environment of the hockey rink to the quiet, sophisticated atmosphere of the golf course. It’s clear Happy has an anger problem and he’s frequently given to losing his cool. 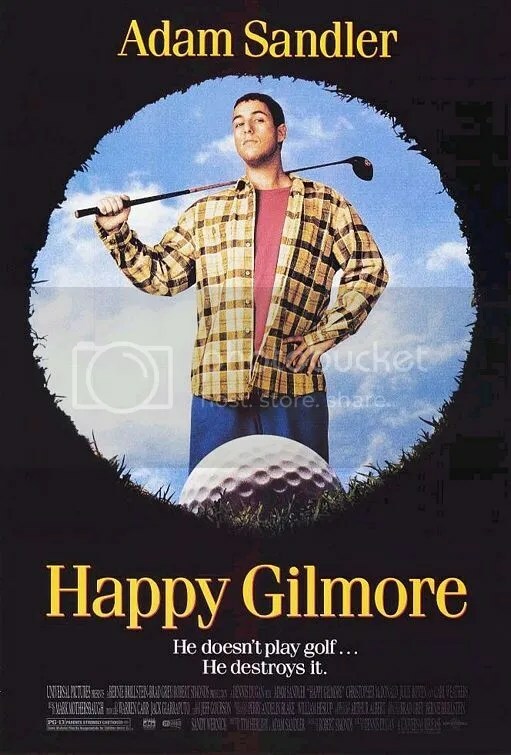 The humor is lowbrow and a lot of it rests on Happy Gilmore’s boorish demeanor as contrasted with stuffed shirt Shooter McGavin, a villain embodied in full hissable glory by Christopher McDonald. There’s sort of an idiotic joy in seeing Happy’s aggressive behavior conflict with the civilized gold pros. A confrontation with Bob Barker of TV’s The Price is Right is a savage delight. But he doesn’t remain that way. As the plot develops, Happy becomes more likable. I think it’s relevant to point out that Happy begins as a flawed character, unable to control his temper. By managing his emotions and finding his “happy place” he finds success. Nice moral. It’s not as inspired as something like There’s Something About Mary from the same era. However Happy Gilmore has achieved a cult status and like all such films it improves with repeated viewings. Note: Will Damron over at Papa Kenn Media was my inspiration for revisiting Happy Gilmore. He is examining vintage Sandler movies from the past. He prompted me to watch this so I could provide my own insight. Please check out his page as well. Bittersweet biography dealing with Australian concert pianist David Helfgott who suffered from mental illness. Most of the film concerns his formative years as a musical prodigy. He escapes the tyrannical rule of his father who disowns him after he departs for London upon being offered a scholarship to the Royal College of Music. Armin Mueller-Stahl makes an indelible impression as his domineering father in a truly unsympathetic portrayal. Helfgott’s ongoing obsession with executing Rachmaninoff’s technically demanding Piano Concerto No. 3 ultimately reaches an exhilarating manic apex. The narrative is a bit murky when it comes to Helfgott’s subsequent psychological breakdown. Are his problems caused by the virtually unplayable composition or the result of physical and mental abuse by his father? It’s never quite clear, but regardless, the scene that highlights the performance of this piece is a beautifully edited sequence of talent and dementia. 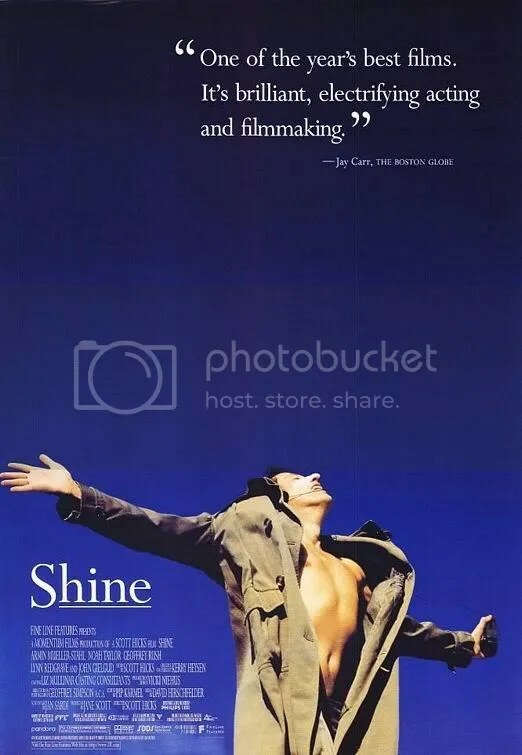 Geoffrey Rush won the Best Actor Oscar for his work in the role of the virtuoso as an adult, but Noah Taylor actually registers much more screen time with his sensitive depiction as the adolescent David. Dysfunctional family drama about people haunted by the past. 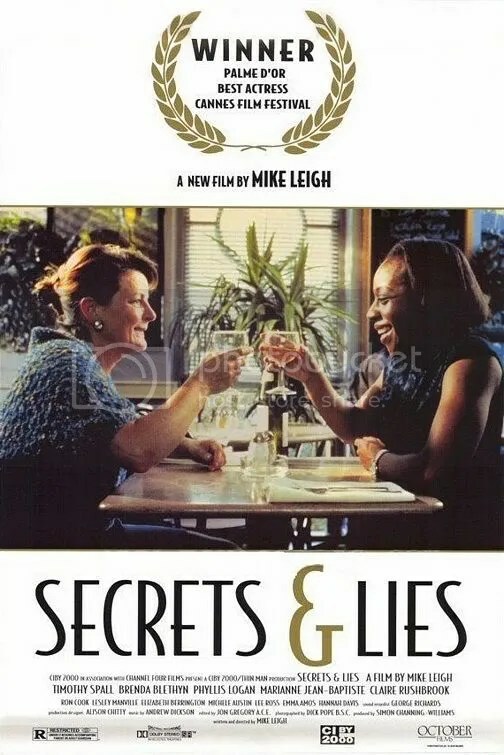 Reportedly most of the performances were improvised with director Mike Leigh simply providing the actors with an outline of their characters. This makes Brenda Blethyn’s stunning performance all the more amazing, however it also explains the lack of focus that plagues the film. The surprising realization that forms the basis of the film, doesn’t even come to light until fully one hour into this overlong 142 minute film. The film recovers a bit, but by then it’s too little too late. Uncomfortable, funny and dark update of little red riding hood is highlighted by a stellar performance by Reese Witherspoon.